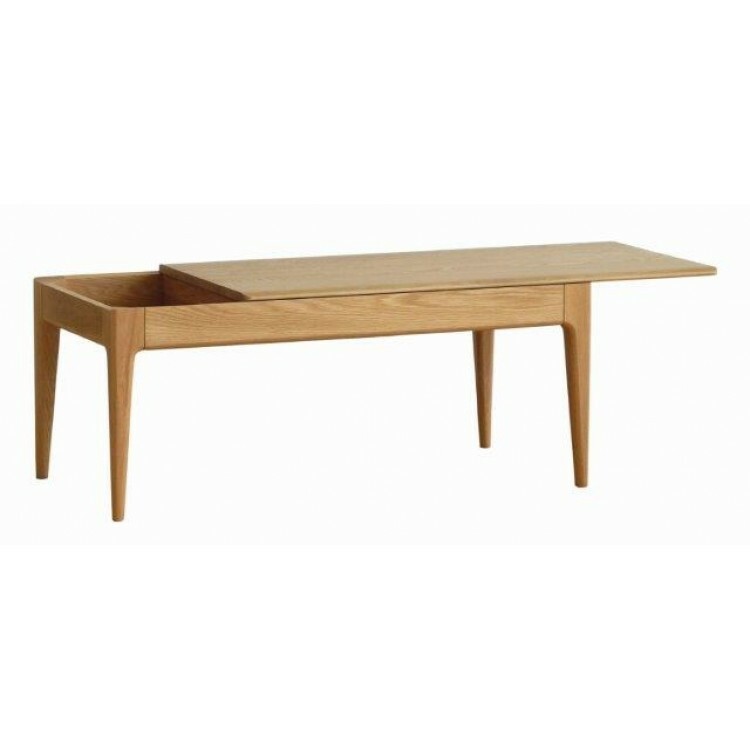 Ercol 2649 Romana Coffee Table which features a sliding leaf and small storage inside, ideal for remote controls, tablet computers and the odd magazine. 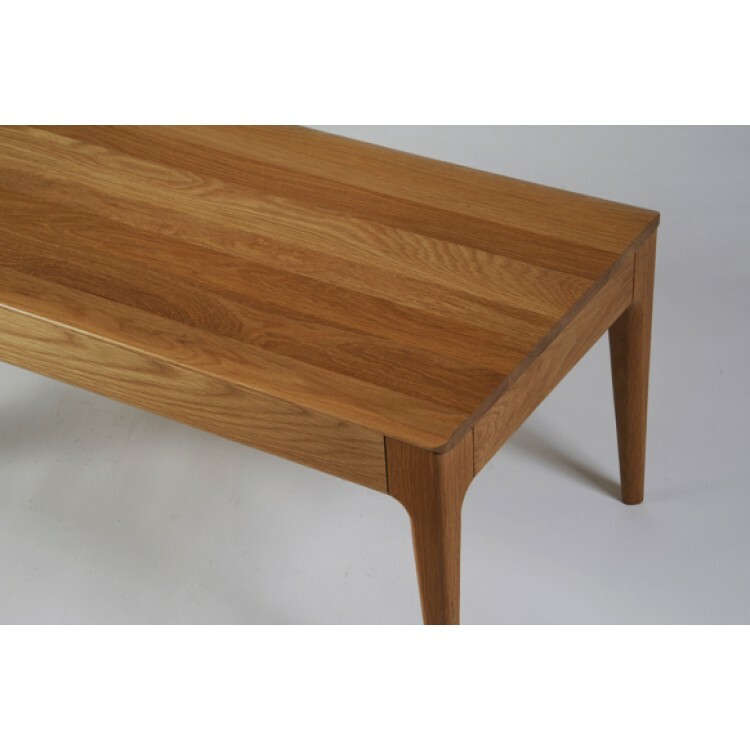 The legs and top match the designs of the rest of the Romana collections, as well as being finished in the matt oak lacquer finish. Ercol 2649 Romana Coffee Table Dimensions.